Welcome to Foundations Home Inspection where we provide nostalgic customer service from yesteryear and a thorough inspection process to help protect your investment. Our exceptional family-oriented customer service is reflected in our customer’s comments. You can trust our thorough evaluation of your investment or property for sale. We perform inspection services for buyers, sellers, rental properties, and commercial properties. A rare opportunity to own a great, pre-inspected property in Rapid Valley. This awesome 4 bedroom and 2 bath has been well maintained and is ready for a new owner. The main floor includes a naturally lit living room, kitchen with breakfast bar and sliding glass doors to the backyard, a full bath and 2 bedrooms. 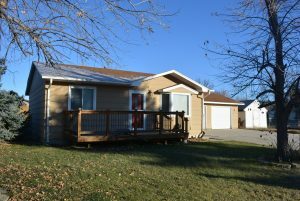 The basement has brand new carpet, a large family room, another full bath and an additional two bedrooms. You will appreciate the 26×26 detached two car garage which will have more than enough for two cars and then some. This ranch style home also sits on a corner lot which allows for the large .22 acre lot. And the backyard IS fenced! Breathtaking views of the peaks framing Hill City, and the Hill City area landscape as you walk in the front door. The views continue as you tour the master bedroom and the three other bedrooms as well. This home has a vaulted great room ceiling, with large windows and sliding doors to the deck with a view! Homeowners say they spend nearly all summer on this deck, offering wonderfully private dining & relaxation. Newly laid vintage hardwood flooring (salvaged from older home), runs through the great room, master bedroom & hallway; new carpet in the three other bedrooms, & the office. Quality vinyl tiles w/a 30 yr warranty were placed in the foyer, kitchen, baths. The great room measures 34′ X 16’10”, & includes the kitchen, dining, living space. There is a cozy family room measuring 20’7″ X 25′, featuring a durable & trendy custom stained concrete floor & is the perfect spot to curl up and watch movies. Beautifully updated and decorated. Home inspection is done–just make your offer! HomeBinder allows you to organize and save all related home information in a convenient online application. From storing paint colors to getting maintenance reminders, HomeBinder will help get your home ownership off to a great start. It will ensure you have all the details you need in the future right at your fingertips. Best of all, we’ll get it setup for you to minimize the effort to begin managing your greatest asset. Although you’ll probably not think about selling for some time, when you do, your HomeBinder will help with buyers, your accountant, and the appraiser. We will gift you a lifetime membership to this online service, a $299 value! Our customers always come first. In our experience, good customer service is the key to a successful business, and this is a rare quality to find these days. We are a husband and wife team who enjoy putting our customers first and we truly care about relationships with our customers. Just click on our review box to the left or see our Google reviews! We strive to serve wholeheartedly and communication is our priority. We are here to brighten your day and give you the peace of mind that you are receiving honest and professional service. Following our inspection, we will do a walk-through with you which usually lasts one hour, depending on what we find and what kind of questions you may have. Even buyers from out of town will receive a walk-through over the phone. We find that this oral presentation is a great benefit in learning about the current issues within the home, as well as educate you regarding routine maintenance needed for the future. Please call for pricing which is based on square footage, location and age of the home. Our prices begin at $300. We offer discounts to customers who pay at the time of the inspection, and we also offer discounts to active and retired military, national guard, police, firefighters, EMTs, paramedics, and those in paid ministry. If you are searching for a commercial property inspection, please contact us for a quote. Our services are unique. Home inspections are typically for the home selling and buying process because often a mortgage lender will require one. However, we perform home inspection services for various scenarios. Our services provide a unbiased view of the home, offering both problem and maintenance areas. Our services not only benefit the home buyer or the home seller, but even those homeowners whose warranties are about to expire and they need documentation of any repairs that are needed. We also offer home inspections for those who may have concerns about their home regarding routine maintenance. We believe if your teeth warrant a checkup and your car gets maintained, why not have your home examined? Unless home owners are maintaining their home on their own, they should have their home inspected every 2-3 years. It’s a small price to pay now, instead of paying higher repair costs later. We also offer re-inspection services for a nominal fee when the seller completes any suggested repairs to the home and we add photographic and written documentation to the seller’s original report, showing what repairs were made – a great feature if you plan on selling your home and providing a completed home inspection report for your potential buyers up front. We find that the pre-sale inspection gives buyers the feeling of honesty and moves the sale along much faster. Our software will amaze you. Your final home inspection report is available generally within 24-36 hours from your walk-through. You and/or your agent will be provided with a username and password to access your report online. Once at our website, simply log in on the left-hand side of the screen. HomeGauge provides highlighted sections as you move through the report and clickable links from the table of contents to view a certain section of interest; for example, when a real estate agent prefers to only read the general summary and desires to skip the photographic portion of the report. Another great feature is that you can print or forward the report from the same page. If you are a home seller and have a pre-sale inspection, we can make your report “public,” and we provide you and your agent with a link to the report in which you can attach to your home sale listing online. This will create great advantage above the other homes out there on the market. Our reports are detailed. They are easy to interpret through photographic documentation, diagrams, summaries, and all the needed specifications of the home. Your report will be best viewed online, but you will have the option to print directly from the website. Once printed, our average report contains 50+ pages of pictures and documentation of any concerns we may find as well as positive attributes and preventative maintenance areas of the home. Because we are members of InterNACHI, we do inspect more items than what the South Dakota Real Estate Commission requires us to inspect. Please refer to our “Standards of Practice” link for more information. In order for our company to deem an item “repair or replace” within our reports, the deficiency must be a safety hazard, a structural issue, anything that will cause a structure issue if not corrected, or any item within the home that is considered non-functioning. Our inspections are thorough. We take our time to inspect, spending 1-2 hours per inspection on average and then an additional hour with you during our one-on-one walkthrough. We treat each home as if it were our own, leaving no trace or mess behind. On average, we take 200-300 photos for our documentation and use approximately 50-75 of them within the report. Therefore, we recommend that home owners make their homes as photogenic as possible for pre-sale inspections. Not only do we take pictures of the problem areas, but we provide photos of appliances and cover shots of areas such as the exterior, garage, kitchen, living room, dining room, bedrooms, bathrooms, etc. Our schedule is flexible. Schedule your home inspection by phone or e-mail. We provide our services typically Monday through Saturday. Our goal is to work around your schedule. Our education is continuous. We are members of InterNACHI and receive continued education, keeping up with new construction regulations and always increasing our knowledge about the home inspection industry. Our company is licensed and insured. We carry errors and omissions and also general liability insurance. Copies of our policies are available upon request. 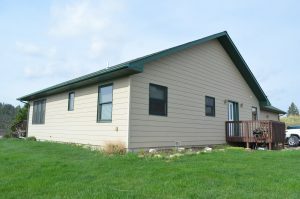 We are licensed with the State of South Dakota Real Estate Commission and we are governed by both theirs and InterNACHI’s standards of practice.